Living... in New York City, though his wife and kids just moved to Los Angeles. But while Holly might have landed a high-paying gig with the Nakatomi Corporation, John would rather stay where he's needed. And right now, he believes that’s with his compatriots on the NYPD. Visiting... Los Angeles, to see his family over Christmas. He was invited to a holiday party for his wife's work, which was going swell until the worst kind of party-crashers showed up: terrorists. Led by the power-hungry and ruthless German Hans Gruber, they’ve taken almost all the party guests hostage. 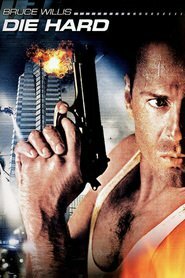 It’s up to John McClane to save his wife and all the other party guests before something horrible happens. So much for a relaxing vacation. Interests... his job and his family. 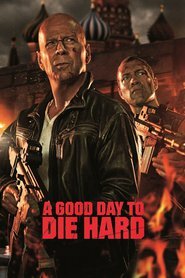 Unfortunately, the two often clash, which is why this holiday was supposed to be so special – until Hans Gruber showed up, that is. Relationship Status... married to Holly McClane. But their relationship is on the rocks; she’s even started using her maiden name, Holly Gennaro, at work. Holly was the best thing that ever happened to John, but he messed it up by not supporting her work and new job. Still, he’s determined to win her back, even traveling out to L.A. to help patch things up. Unfortunately, Hans Gruber has ruined the romantic atmosphere – and now John will be happy if he can keep Holly (and himself) alive. 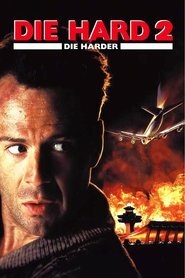 Challenge... defeating Hans Gruber and his band of terrorists. They’re demanding the release of fellow terrorists from various organizations all over the world, but their political agenda is just a cover. In reality, Hans’ team is there to crack the Nakatomi Corporation’s vault and make off with the $640 million in bearer bonds held inside. Frankly, John couldn’t care less whether they’re terrorists or thieves – either way, they’re dangerous and deadly, and they have to be stopped. Personality... tough, stubborn, and outwardly cocky. 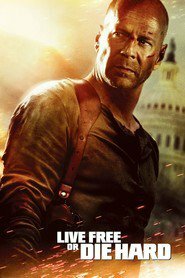 To Hans and his crew – and bad guys in general – John McClane is one of the most formidable and irritating enemies in the world. Even when the odds are stacked impossibly against him, he can't help making jibes at his foes. John is especially dangerous due to his willingness to take huge risks when necessary. But while he can be selfish and self-involved, John is, at his core, a good man who will risk his life to protect innocent people. Just don’t be surprised when he jokes, curses, and yells the whole time he’s saving them. 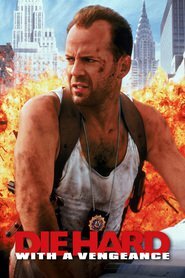 John McClane's popularity ranking on CharacTour is #324 out of 5,000+ characters. See our top-ranked characters and read their profiles.